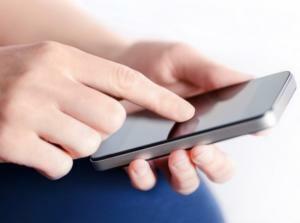 Mobile technology could provide a sizeable boost for the motor trade industry, a new survey has suggested. Technology firm Intelligent Environments quizzed 2,000 consumers and found that mobile tech - specifically tablets and smartphones - could increase new car sales in the UK by 300,000 units every year. The devices would do this by making it quicker and easier for car buyers to apply for motor finance plans, which in turn enable to make a new purchase. Finance plans are evidently proving popular with customers, helping them to pay for their cars in instalments rather than costly one-off sums. Car dealerships and garages, like most businesses, will also want to avoid large one-off payments, which is why business insurance - specifically motor trade insurance - is so important. This will protect the business and its assets so if something goes wrong, such as a fire or theft, the insurance company will cover the costs, helping the trader avoid the big one-off fees. Intelligent Environments' survey found that almost two thirds (63 per cent) of people believe that buying a car is difficult. Moreover, almost the same number (61 per cent) said that finance is one of the most challenging aspects to buying a new car. David Webber, managing director of Intelligent Environments, commented on the findings: "Our study reveals the scale of the opportunity automotive manufacturers are missing out on. "Simpler car finance can help the UK car industry make an additional £9.6 billion. Not only that, but our figures show that current car finance practices are actively holding people back from purchasing more cars, and half say they want a closer relationship with the provider of their car finance and the manufacturer."